Ciprian Manolescu received his PhD from Harvard University under the supervision of Peter B. Kronheimer. In his thesis he gave a remarkable gluing formula for the Bauer-Furuta invariants of four-manifolds. His research interests span the areas of gauge theory, low-dimensional topology, symplectic geometry, and algebraic topology. 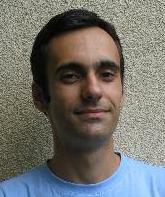 Ciprian was appointed as a Clay Reearch Fellow for a term of four years beginning 2004.